Speech Recognition Software, often called as automatic speech recognition is a process in which spoken words are converted into machine-readable input. Speech recognition software can be a useful tool in countless applications. This software has found to be vital for college students, translators, executive, and transcribers and in all other fields. This amazing software can be easily integrated with any electronic medical record application which makes these programs more efficient and easier to use. With rapid hardware development and improvements in the technology itself have increased its accuracy, utility and speed. Speech recognition software when implemented properly helps to boost the productivity for every employee who works with a computer. 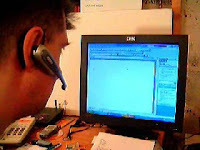 Speech Recognition Software makes use of a human voice as a communication device between the user and the computer. This software has a sophisticated technology of “language modeling” that helps to identify and distinguish between millions of human utterances which make up any language. There is a microphone connected to computer from where the user speaks. Vibrations are created when a person speaks. The speech recognition software thus converts these vibrations from analog signals into digital form with the help of analog-digital converter (ADC). The software then separates the analog segments that vary from few hundredths to thousands in a second. The next step in the procedure is that the segments are then matched with already stores sound templates. At present the mathematical systems and probability play a vital role in speech recognition systems. The speech recognition systems are used to verify the outcome after a particular phoneme. The term phonemes are particular sounds that are understood by humans speaking a particular language. One cannot expect 100% accuracy from these technologies as the tone and pronunciation differs from region to region. 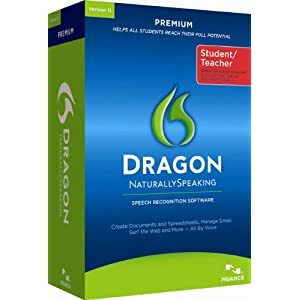 The Speech Recognition Software is also available for laptops and desktops. This software is a very useful invention which caters to the needs of millions of people including the disabled.